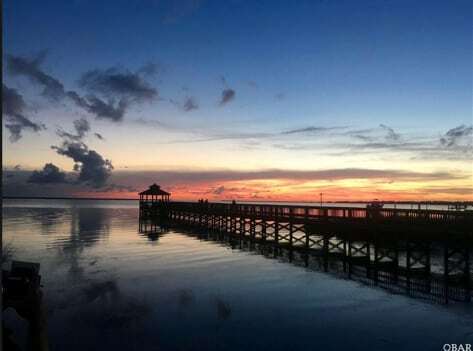 Sunrises and sunsets are always a fan favorite and somehow you often feel like “this is the best sunset I’ve ever seen.” The OBX proves no different. 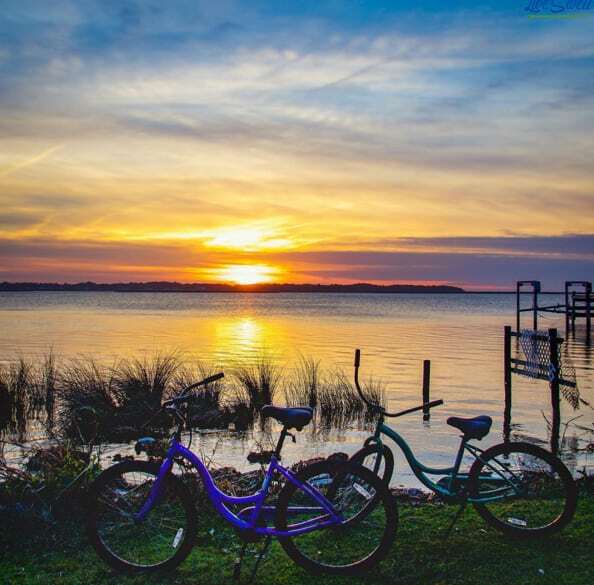 Join us as we show you some of our favorite spots for the best…Outer Banks sunset! Grab a beach cruiser or few and take a ride to the Sound. It’s a pretty easy bike ride so should be enjoyable for everyone. If you did not bring your own bicycles, you have plenty of options. Duck Village Outfitters are a good rental company that we like. In fact, we buy all of our beach cruisers from them on the off season. 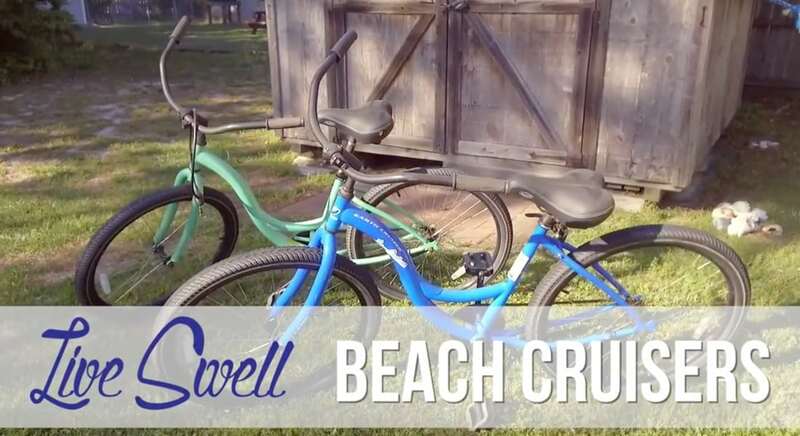 Which means for any of our guests at any of our Live Swell Beach Bungalows get to enjoy 2 Earth Cruisers when renting with us. We love biking around the Banks so hope our guests get to experience it too! As you bike along Bay Drive there are a couple spots to highlight. The first sunset spot we will mention is closest to the intersection of Bay Drive and 3rd Street. At this spot find this cute gazebo. I have gone the wrong way on Bay Drive looking for the Sound and missed the sunset, so we included some maps to make it easy for ya! 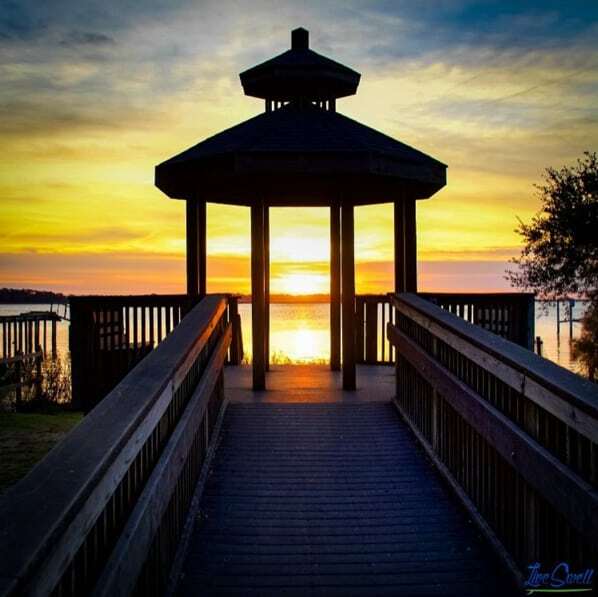 This next sunset spot worthy of mention is the Gazebo Pier. This one is a little easier to find, as its marked on Google map. This spot is located closet to the intersection of Bay Drive and Hayman Blvd. Or maybe just grab the bikes and explore Bay drive as you go. A good route might be to also go down First Street and check out the beach access there. If you’re lucky you’ll catch some good surfing going on. 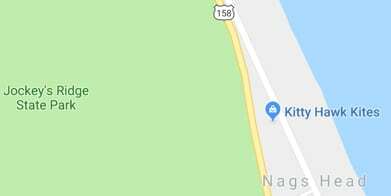 From Bay Drive on the Sound side, you can also go down Avalon Drive or Sportsman Drive and connect over to the Avalon Pier and make it a sound to surf or surf to sound kind of bike ride. 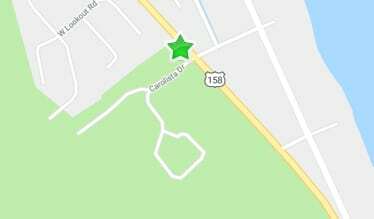 Please note- Croatan Hwy can be busy, be careful crossing or find a cross street with a light. First Street, 3rd Street, Fifth Street and E Helga St all have cross walks and lights for easier crossing. 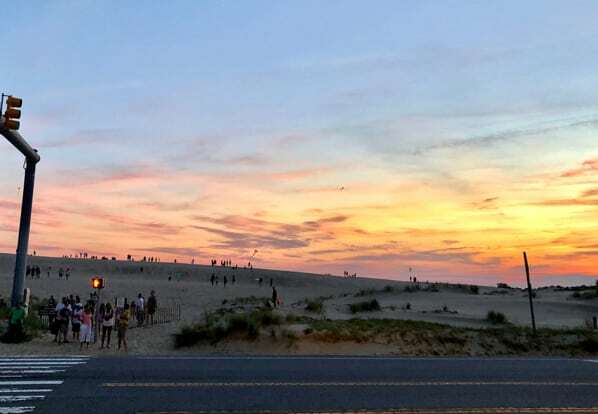 Jockey’s Ridge State Park of the Outer Banks is the largest natural sand dune system on the East Coast and also amazing for sunsets. So under the painted OBX skies, grab your family, your friends, and lets go fly a kite! There is also another entrance to access the sand dunes by Kitty Hawk Kites. 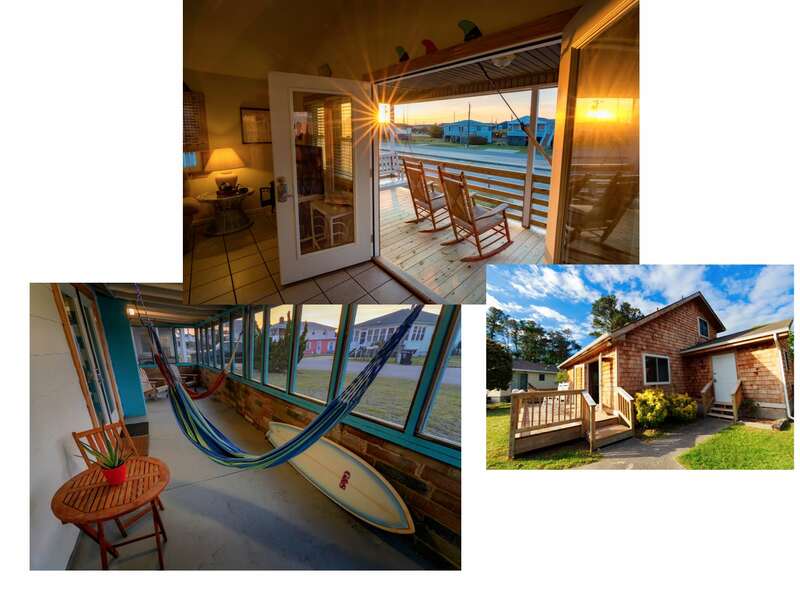 Come Find your Outer Banks moment!